the battery doesnt do that well...but its an all rounder cuz of its size and weight and performance. ***does anyone know if u can get a larger or higher performance battery for this fone? ***where can u buy the usb cable for this online? A200 Rok. The only bad thing about it is that you cant download ringtones and stuff on it. I am quite happy to see so many features in this small little qute phone,Nokia can never offer so many feature with such a price, A true value of money!! nothing to lose,but its downloaded ringtone sound is very low. 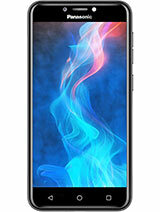 Display is very good and also it has got simple good look. 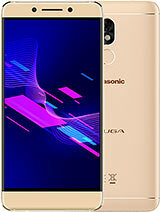 Cute handset.Clean and bright colour.There r many menu options.Good price for so many features.But ringtones r bad, sound weak,picture animation sound r all empty. 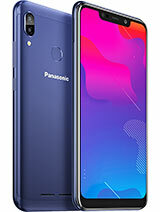 small that you end up pressing two keys at the sametime.Ringtones too few.Alarm rings once only in low tone.No second ring.Reminder alarm too short and low.Always failed to hear it.Is Panasonic listening? Hello! 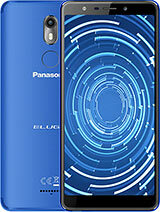 I'm frensh and I would to know if someone can say to me if this phone can be use in Europe (in France) with a manual configuration? The phone is worth every penny. One feature that I feel missing 'Auto Key Guard'. The display is very good. It's a good look model, Technical Manual says talk time is 9 hrs, but practically it's less than 2 hr's! and display is on through out the call, how can i off it and is any firm ware update is required for it? please suggest me. True value for money. I love the small size of the handset. Far Far Far better than the expensive NOKIA handset which support only 4096 colors. Awesome site Ciarn, thanks for finding a free polyphonic download site! Got lots of tunes for my phone now! Much better than on vodafone live which didnt support this handset! Thanks to Ciaran. I have visited this site and have successfully downloaded ring tones!!! This is great cool little phone. For handsfree operation it says, while in a call, press the menu button and scroll to 'handsfree' and select your preference. Check the pdf manual on this site. Can this A200 do speaker phone function? Can some1 send me a owner of this fone and show me a picture of it on the back? PS. Is this phone for womens?(O_o)? 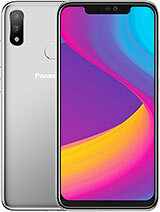 I m in India, and considering buying this phone. A dealer confused me, by saying that this model does not support the Ringtone download feature. What i like in this is the number of clours, and the small size, that fits into the pocket. can someone tell me about this ringtone thing. 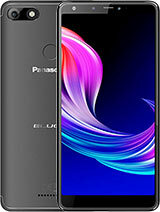 Am I not able to download the latest/popular hindi songs ringtones for this phone ? Hi, I have bought this A200, but am not having Modem driver for GPRS, can somebody share it with me. I have checked in all the major shopping sites and markets as well.